As Anna Washenko covered earlier today, Microsoft-owned Nokia’s music service, MixRadio, is slated to be spun out as a stand-alone listening platform. 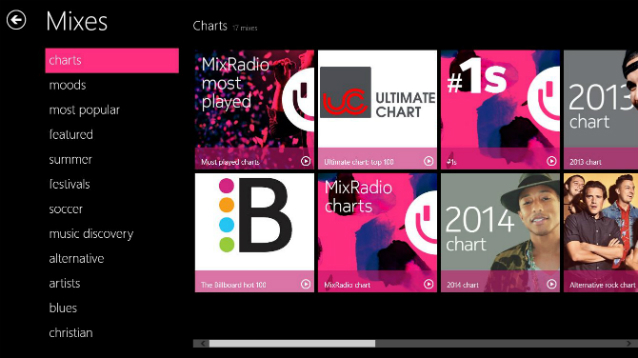 The MixRadio app is now available to owners of the Nokia Lumia smartphones, which use the Windows Phone operating system, and on Windows 8.1 computers. Separating from that ecosystem will put MixRadio on the same playing field as Pandora, iTunes Radio, and other Internet radio brands. In light of the news, this is a timely moment to assess MixRadio and its potential to stand out in the crowd. We tested the premium service offered by MixRadio on a Windows 8.1 computer with touch screen, and a Windows 8.1 tablet. Although there is a browser version, we stuck to the downloaded mobile app. First impressions count. Music services know this well, and must thread a needle with new users. It’s important to make good music (to the user’s ears) from the first click. Doing so requires learning something about the listener’s preferences. But introducing too much delay, and too many questions, can be deadly in a customer mindscape governed by impatience for instant gratification. MixRadio handles the dilemma well, requesting (not requiring) one favorite artist. If you furnish a name, the app offers a second request, then a third — but that’s all. The funnel is not as elegantly presented as in Beats Music, with its floating bubbles of genre/artist suggestions, but MixRadio’s approach is more precise. In MixRadio, playlists are (naturally enough) called Mixes. We found the Mix landscape to be basic, and rudimentary in some cases. The list of Mix categories covers specialties and basic genres. The genre list is incomplete — no Folk, for example. Throughout, there seems to be an emphasis on simplicity, achieved by limiting choices. The specialty lists (e.g. Mood, Featured, Summer, Music Discovery) each had 20 or fewer Mixes. We counted 36 Mix categories, a low number. All together, the amount and variety of pre-programmed listening available in MixRadio suffers when compared to competitors Songza, Slacker, and iTunes Radio. We were impressed, though by the care with which MixRadio expands the Jazz, Electronic, and Classical categories into sub-genre Mixes. (Those genres can serve as indicators of curation prowess.) We found 22 Mixes in the Classical bucket, including relatively untrod paths as cellists, overtures, female opera, and “Smooth classics” (always good to quarantine the semi-classical stuff). In our opinion, Windows 8.1 across computers and handheld devices is an under-rated platform that doesn’t get the favorable attention bestowed on iOS (Apple) and Android (Google). In the MixRadio app, tapping and swiping work logically and helpfully, especially when saving a Mix to the device, which is supported in the Premium plan — a quick downward flick on the screen does the trick. Nice. You can also pin Mixes to the Start screen (that’s the screen with all the colorful boxes that Microsft product-places in many TV shows). Doing so brings favorite music front and center in the Windows 8.1 touch experience. We also like how adjusting volume when MixRadio is playing brings up a box showing the current track, with pause and skip controls. MixRadio is a non-interactive Internet radio platform. 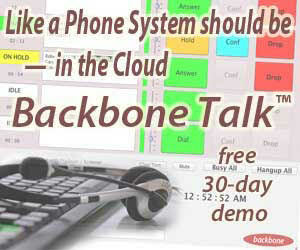 That means that it will compete with Pandora, iTunes Radio, Songza, and countless other lean-back listening options. Interactive (lean-in) services like Spotify, Rhapsody, Beats Music and Rdio are secondary competitors, offering on-demand songs, albums, and artists plus the capacity to download on-demand music for offline listening. MixRadio has operated within the Nokia ecosystem as a free-listening app without commercial interruption. We don’t know whether that plan will continue when MixRadio is on the open market. (That would be unusual and remarkable.) 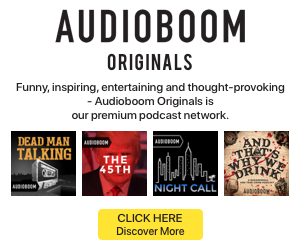 There is an existing subscription plan: For $3.99/month, paying users get higher audio quality, unlimited song skips, and downloaded house-curated Mixes for offline listening. That deal’s specifications compare well with Pandora’s premium plan (“Pandora One”) which costs $4.99/month to eliminate advertising. As it sits now, we don’t see compelling differentiate in MixRadio that would pull audience away from existing, mature services. That said, the interface is attractive in its simplicity and ease of use, and there is good listening to be had in many types of music.